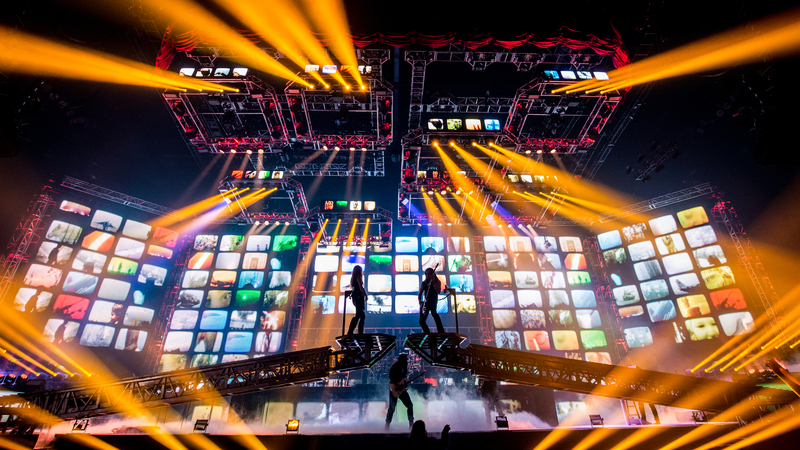 TAMPA, FL – Paul O’Neill launched a project in 1996 that over the past 20 years has become a critically-acclaimed, multi-platinum, musical powerhouse: Trans-Siberian Orchestra. The progressive rock group’s record-setting “rock theater” tours sell out venues year after year and have cemented TSO’s status as a must-attend, multi-generational, holiday tradition. Now, TSO’s creator/lyricist/composer O’Neill is proud to announce that in its Platinum anniversary year, the group is bringing back its treasured tale, “The Ghosts of Christmas Eve,” to 61 cities across North America beginning on November 17, stopping at Tampa’s AMALIE Arena on Sunday, December 18, 2016, with shows at 3:00 PM and 7:30 PM. TSO’s Winter Tour 2016 is presented nationally by the Hallmark Channel. Debuted last year to rave critical and fan reviews, and based on TSO’s multi-platinum DVD and long running PBS fundraiser, “The Ghosts of Christmas Eve” follows the journey of a runaway who breaks into an abandoned vaudeville theater on December 24th. While seeking shelter from the cold, the teen is discovered by the theater’s caretaker, who uses the ghosts and spirits from the building’s past to turn her life around. The rock opera features such enduring fan favorites as “Christmas Eve/Sarajevo 12/24,” “O’ Come All Ye Faithful,” “Good King Joy,” “Christmas Canon,” “Music Box Blues,” “Promises To Keep,” and “This Christmas Day.” 2016’s tour will see an all new second set containing some of TSO’s greatest hits and fan-pleasers. 2015 was another landmark year for TSO, with their hit tour and the release of the chart-topping new album, Letters from the Labyrinth (TSO’s third Top 10 album debut in a row; it spent six weeks at No. 1 on Billboard’s Rock Chart). 2015’s tour hit 60 cities across North America and played to more than 850,000 people. The run grossed more than $41 million in just 45 days, which resulted in it being ranked No. 15 on the “Top 200 North American Tours” chart and No. 30 on the “Top 100 Worldwide Tours” chart by concert industry trade Pollstar magazine. The tour was also featured on CBS Sunday Morning and in a cover story for the Wall Street Journal. In the summer of 2015, at the Wacken Open Air music festival in Germany, TSO produced an industry first when the group performed a coordinated set across the festival’s massive two main stages to a crowd of over 80,000 fans. TICKETS: Tickets for the event go on sale Friday, September 16, 2016 at 10:00 AM at the McDonald’s® Ticket Office at AMALIE Arena, Ticketmaster outlets and at Ticketmaster.com. Order tickets by phone by calling 800.745.3000. Ticket prices are $32.00, $42.00, $49.75, $59.50, $71.25. Prices do not include facility fee or service charges. Advanced parking passes are available at Ticketmaster.com and the ticket office. Visit amaliearena.com or call 813.301.2500 for more information. Visit lightning.nhl.com for more information!